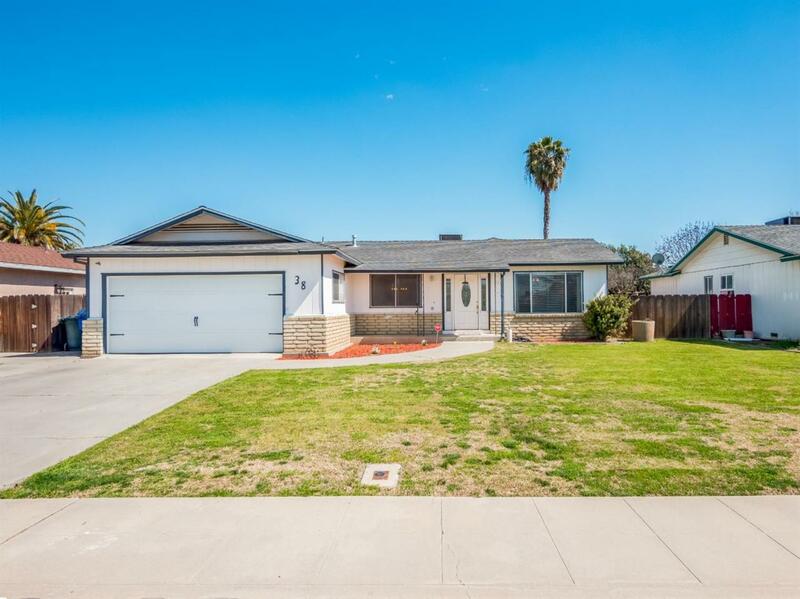 Exquisite design in this well-kept house located in a nice and quiet Lemoore neighborhood. Just minutes away from nearby grocery store. CA-198 and HWY CA-41 for easy commutes. As soon as you walk into the home, you will feel the homeowners' pride. This amazing property features 4 bedrooms, 2 bathrooms, a nice floor plan, a den, a family room with a cozy fireplace, and a dining area next to the best part of the home, the kitchen. Come see the recently renovated kitchen with precious light-colored quartz counter tops, floor to ceiling white cabinets with added hardware, modern white subway tile back-splash, stainless steel appliances and farmhouse sink. There's stunning flooring throughout the home. The new light fixtures throughout the house really brightens and beautifies. Elegant design throughout the home with recessed lighting in the entryway and kitchen. Interior has been recently painted. Each bedroom offers great renovations. Perfect for a first-time home buyers.